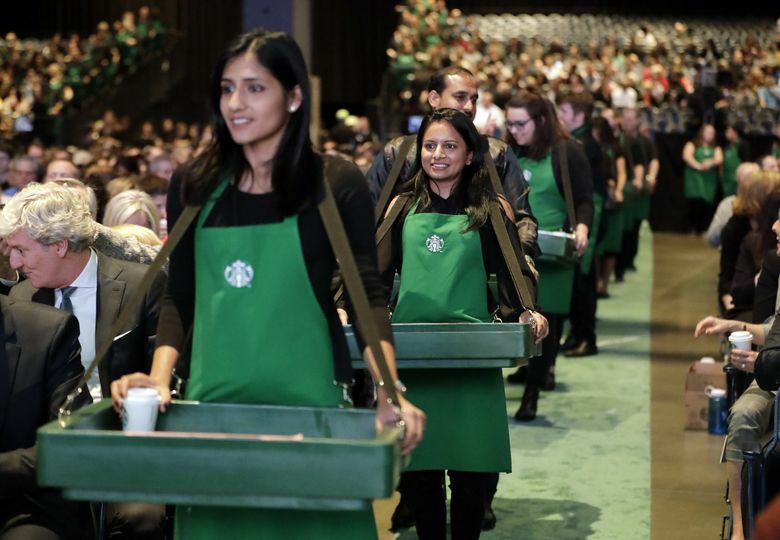 Starbucks shareholders gathered for the first annual meeting without former Executive Chairman Howard Schultz, who stepped down last year and is now considering a run for president. 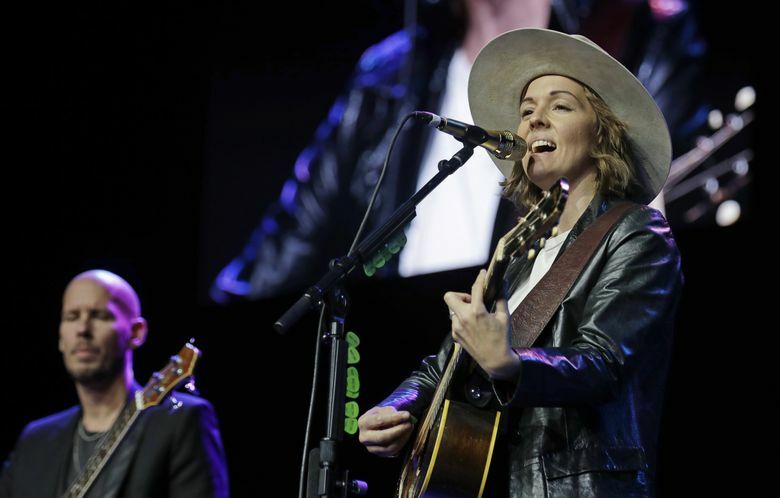 But there was no shortage of star power at this year’s meeting — Brandi Carlile performed three numbers to a wildly appreciative crowd — and no shortage of controversy, with United Farm Workers activists protesting outside the meeting, while inside civil-rights leader the Rev. Jesse Jackson, a former presidential candidate himself, pressed Starbucks to support the farmworkers who produce the dairy products the company uses for its lattes and other beverages. 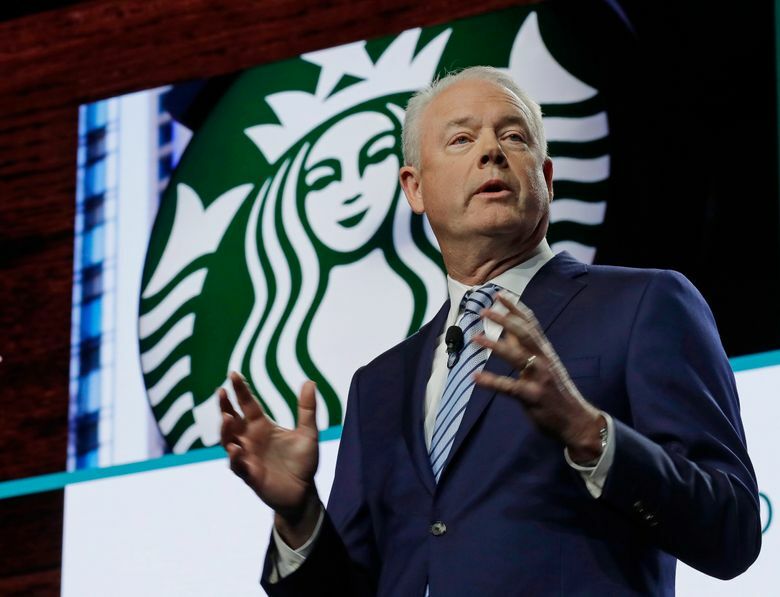 Wednesday’s meeting was also something of a solo debut for Schultz’s successor Kevin Johnson, the company’s president and CEO, who is attempting a massive overhaul of virtually every aspect of the Starbucks empire, from the design of its stores to the way it develops products. But the overhaul is also widely seen as a tacit acknowledgment of the challenges facing the Seattle-based coffee company — from shifting consumer tastes to lagging technological innovation to the difficulty of making a ever-more-massive company grow like the small company it once was. 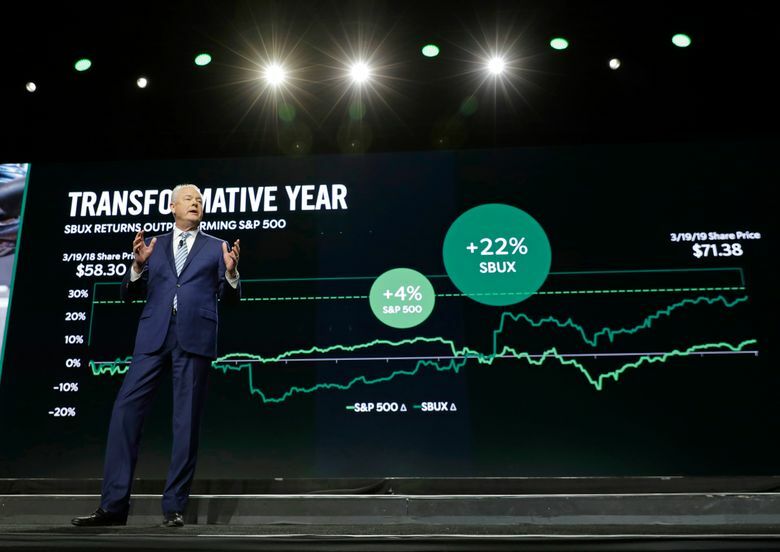 “This agenda acknowledges that we are growing off a very large base, with 30,000 stores around the world,” Johnson told a crowd of shareholders and company employees who packed the WaMu Theater. Shareholders had much to cheer about. Starbucks generated $24.7 billion in net revenue in fiscal year 2018, up 10 percent over the previous year. The all-important earnings-per-share grew by an impressive 17 percent, to $2.42. The company’s share price, which had leveled off worryingly last year, finished the first quarter of 2019 up 22 percent from a year ago. By comparison, the S&P 500 rose only 4 percent during the same period. The company also announced a special “accelerated share repurchase program” of $2 billion. 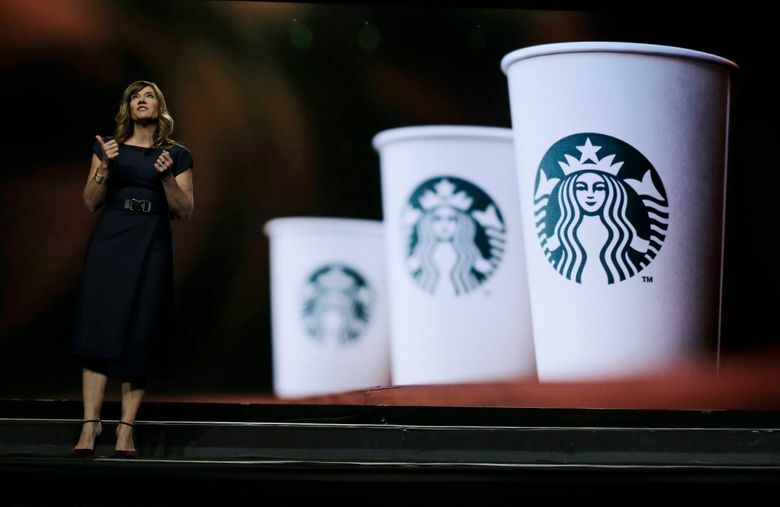 That’s part of Starbucks’ commitment to spend $25 billion on share buybacks and dividends through 2020. Investors tend to like share “buybacks” because they can boost the price of a company’s stock. 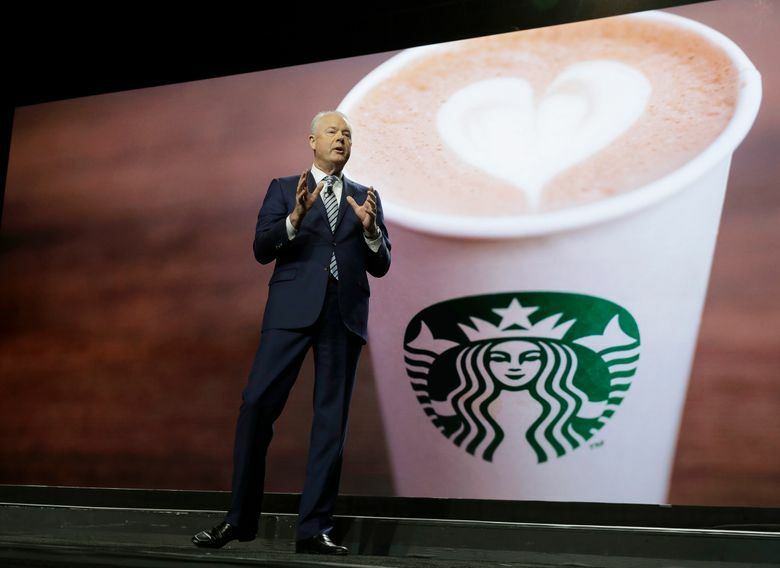 Shareholders interviewed during and after the meeting seemed pleased by the company’s impressive gains in China (a new Starbucks store opens every 15 hours), which is widely seen as generating a steadily larger share of the company’s future growth. There was support for Johnson’s freshly announced plans to invest heavily in new technology — for example, in-store automation, to allow baristas more time for customer engagement — and to invest $100 million in Valor Siren Ventures, a fund devoted to finding “the next generation of food and retail startup companies” to help Starbucks refresh its product line and delivery systems. At the end of the presentation, the company easily won shareholder approval for the board of directors and defeated two proposals by shareholder groups — one that would have forced the company to publish more data on its sustainability initiative and another that would have required greater ideological diversity among board members. But there were sour notes, as well. Operating margins “contracted significantly,” Grismer said, limiting growth in one measure of operating income to just 1 percent for fiscal 2018, as the company reinvested much of its cash flow into internal projects and initiatives. 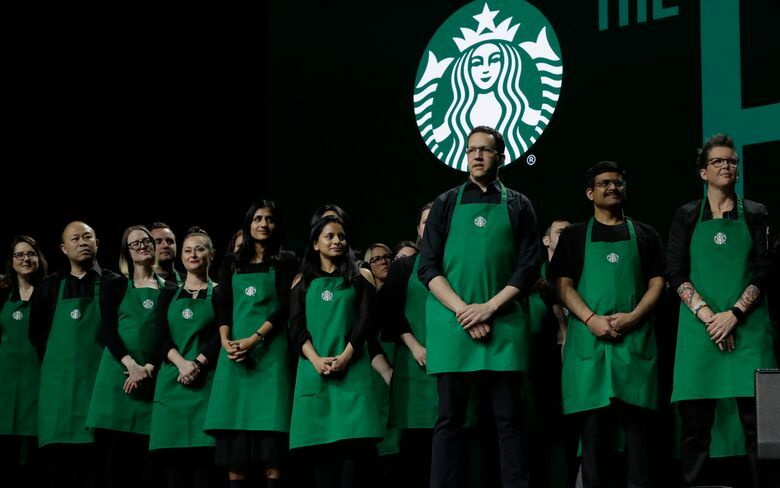 Starbucks is also under continued pressure from activists on everything from the paper cups that can be recycled to the treatment of farmers at its dairy suppliers. Indeed, as shareholders arrived at WaMu Theater Wednesday morning, they had to walk around a demonstration by the United Farm Workers, which is embroiled in litigation over working conditions at Darigold. “We want to let Starbucks know, and their shareholders, that they need to clean their supply chain,” yelled one protester. During the question-and-answer period at the end of the meeting, speaker after speaker peppered Johnson and Rosalind Brewer, Starbuck’s chief operating officer and group president, with questions and complaints about the plight of the farmworkers on local dairy farms. Correction: Starbucks is spending $25 billion on both share repurchases and dividends through 2020; an earlier version of this story said it would spend that only on share repurchases by 2020. Also, the company said growth in one measure of operating income was just 1 percent in 2018; an earlier version of this story applied that number to its operating margins.